Published in ADVANCE Magazine May 31, 1999 and “Straws as therapy tools”, By Sara RosenfeldJohnson, M.S.,CCC-SLP, Published in ADVANCE Magazine April 19, 1999. Film writers and novelists know that one quick path into a story line is through the reliable, dramatic tool of food. Oral-motor therapists are no different. This article is the first of a two-part series exploring the use of simple tools to facilitate therapy for a variety of speech disorders. The use of straws is addressed in this article, and applications for horns in oral-motor therapy will be discussed in the second article, which will appear in the May 31 issue of ADVANCE. Straws can be used by many clients. The primary goal of the use of straws is to address insufficient tongue retraction. This treatment encourages increased speech clarity, whether the client has an interdental lisp or other phoneme distortion. 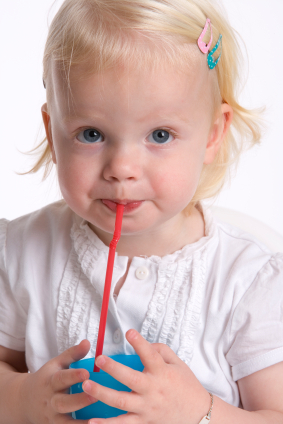 The use of straws in speech therapy is not uncommon. For many years straws have been an important utensil in feeding and lip-rounding exercises. On the client’s level, the straws themselves are viewed as fun, and the food is experienced as a reward. At the therapeutic level, straws have the promise of addressing a multiple array of disorders and muscle groups far beyond traditional practice. A little over 12 years ago, while initially using straws for feeding or lip-rounding goals, I was struck by the improved tongue retraction–and, therefore, speech clarity–that was its side effect. Since then, straws have become one of my most important therapy tools. Oral-motor therapy does not work like that, particularly with our special education clientswho have reduced visual or auditory capabilities. Oral-motor therapy asserts that the translation of this tactile information has to take place in the mouth. Therapists must put something into the client’s mouth that will increase awareness of the mouth and strengthen the target muscle groups in a series of measured progressions. This oral muscular development and control is an important prerequisite that enables the clinician to use traditional articulation therapy. Let’s review some basics. In English, in order to have connected speech (co-articulation) and speech clarity, we have to stabilize the back of our tongue on the back of the palate. Whatever else our tongue is required to do, it moves from that position of stability. the ability to spread the sides of the tongue. At birth, babies have approximately a 50 percent back and 50 percent forward movement from the resting position called a suckle. As children get older and begin spoon and cup feeding, they achieve about a 75 percent retraction and 25 percent protrusion. They do not stick their tongue out during feeding. Those who do frequently present with feeding problems. Straws have been prescribed routinely for these occurrences because, at the very least, the client can return to the 50-50 suckle through straw feeding. But there is no reason to stop there, and I would argue that allowing clients to suckle straws is therapeutically wrong if treatment stops there. Suckling actually can exacerbate protrusion of the tongue. It should be mentioned that sippy-cups, a popular feeding tool, encourage suckling, once again falling short of the preferred 75 percent/25 percent retraction/protrusion goal. By continuing to use a progressive series of increasingly more complex straws and thicker liquids, we can teach the tongue muscle to retract. The goal is to achieve close to a 75 percent retraction to achieve that position of stability. The back of the tongue in stabilized retraction allows the tip of the tongue to move side to side to alternating back molars, the very movement that is needed to chew food effectively. At this milestone, we have clients who attain more eating independence and improved nutrition–both very important for children who have not progressed well with cups or spoons. How do therapeutic straws address speech clarity goals? Children or adults with interdental lisps are missing this important component of stabilized tongue retraction. Clients who stabilize their tongue at the front of their mouth between their teeth, rather than in the retracted position of stability, are said to be fronting their sounds. If a client is using an interdental production on /t/, /d/ or /n/, which are the first stable retracted sounds in the developmental scale, the mastery of these sounds must occur before attempting to master /s/ or /z/. If a developmentally normal 3-year-old interdentalizes on /n/, there is already a problem. In fact, any 3-year-old with an interdental production on /t/, /d/ or /n/ needs help to retract the tongue. Further, any child with an identified speech problem who suckles, whether it’s a bottle, cup or straw, is maintaining speech errors if they are secondary to interdental tongue placement. If a developmentally normal 4-year-old does not interdentalize on /t/, /d/ or /n/ and has correct tongue blade retraction but lisps on /s/, it is possible that the lisp is secondary to a developmental delay and may not need therapeutic intervention. How do we get clients on therapeutic straws, and at what age or point in therapy should they begin? Muscles can be toned at any age, 1 or 100. These techniques will work anytime; however, the younger the client, the easier. Young children with an identified dysfunction often can be started as early as 1 year old. Many of our clients with Down syndrome are started this early because we are working on the concept of retraction as a critical oral-motor skill that cascades into other oralmotor benefits. Other clients with a low-tone diagnosis also benefit from this early intervention. Many of these children are still on a bottle at ages 2, 3 or 4, suckling. In virtually all cases, straw therapy can be successfully undertaken by the age of 2. Some children need an assisted transition. I use a squeezable “honey bear,” emptied, cleaned, filled with slightly thickened liquid, and retrofitted with a straw. The child can clutch the bottle while learning to draw liquid up through the straw. The caregivers of low-tone children who may not be able to pull liquids up on their own initially can assist by gently squeezing the liquid up. Normal straw drinking requires complex movement from the jaw, lips and tongue. Through the coordination of these movements, a vacuum draw is created. Each of our speech sounds are made with a different combination of these graded movements. Over many years I developed a successional group of straws, with each individual straw working on a specific part of those graded movements. After initial experiments with ordinary straws, which offer such limited results as to be therapeutically unusable, I located every conceivable type of straw produced and jury-rigged them when necessary. Ultimately I was compelled to persuade straw manufacturers to custom-produce a few of the straws for the specific attributes that I needed. This hierarchy of straws progresses through a matrix that advances from multiple sips to single sips and from thin liquids to thickened liquids while varying the diameter, overall length and structural complexity of the straw via elbows, curves, twists, and placement of a lip block. At the outset of therapy–making sure that clients are sitting up straight in a stable position receptive to drinking–I provide a simple, straight straw of regular diameter to see how they will use it, allowing them to drink from it like they normally would. I place my finger at the point where the straw is entering the mouth so I can take the straw out and measure the length from the entry point to the tip of the straw inside the mouth. There are several things to watch for at this stage. Is the straw more than one-fourth to one-half of an inch inside the mouth? If so, the client is either suckling or biting it. Biting the straw can be an indication of jaw instability. The correct position for the therapeutic use of the straw is with jaw stability, tongue retraction and lip rounding to fully enable drawing. The first straw in my hierarchy is cut to the length that I measured above. The straw has a lip block that encourages sealing and rounding. Over a succession of visits, as the client exhibits proficiency, surreptitiously reduce the length from the lip block to the internal tip until the client has achieved primary retraction and at least minimal lip rounding. At this point the client is said to be therapeutically drinking from a straw, and I am free to move through the remainder of my hierarchy. Clients are taking these straws home and using them daily for drinking all thin liquids. As they progress, thickened liquids and purees are introduced using specifically identified straws in the hierarchy. The clients use these straws to drink three to four ounces once a day. As each straw is mastered or seems to be too easy, move on to the next. For some clients this may be as frequently as one new straw a week. That might be in the case of a developmentally normal child with an interdental lisp. For this client a full, successful course of treatment may last as short as four months. Other clients, depending on the diagnosis (e.g. cerebral palsy), the therapy, while still effective, may continue for a longer period of time. A client with Down syndrome may complete the full treatment in one to two years. We often find that this type of therapy reduces the duration of speech therapy as they get older. 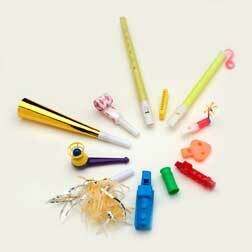 Clinicians who are targeting specific sounds in therapy with their clients will find that therapeutic straw treatments have proven to be effective with the standard production of /t/, /d/, /l/, /n/, /k/, /g/, /s/, /z/, /ch/, /sh/, /j/, and /r/. Clients with velo-pharyngeal insufficiency comprise another population that benefits from straw drinking. For them it increases tongue retraction and changes resonation and elevation of the velum. Clients recovering from a cerebral vascular accident (CVA) often exhibit lip asymmetry. Therapeutic straw drinking works to bring their lips to symmetrical midline, thereby improving speech clarity. An extra advantage of treatment through therapeutic straw drinking is that it can be equally effective with clients, irrespective of cognitive abilities. The therapeutic results–tongue retraction and tongue grading–for a client with severe cognitive impairment and limited or no language skills can be almost the same as with a developmentally normal child or adult. This adds to its promise as an important tool in the arsenal of all oralmotor and speech-language pathologists. Using a Straw & Blowing Bubbles! If horns had not been invented by ancient civilizations, surely speech-language pathologists would have had to invent them. From didgeridoos to trumpets, the controlled use of wind for the production of phrased sound anticipates oral-motor therapy in more than tidy, metaphoric allusion. To some it is hard to believe that a simple toy horn could be something other than a plaything; but in the realm of speech-language practitioners, small, unsophisticated horns are effective therapy tools. These devices can be used to correct articulation disorders, deal with deficits in phonation and breath control, work with cleft palate repairs, teach velopharyngeal functions, and improve speech clarity. When a muscle cannot perform a specific skill, such as lip closure, that muscle needs exercise. This is the work of oral-motor therapy: to normalize oral musculature through exercise. Traditional speech therapy without the proper muscle control cannot be completely successful. However, it is equally important to remember that oral-motor therapy is an adjunct to traditional therapy, not a replacement. When the targeted muscles do normalize, the introduction of traditional methods such as auditory feedback or phonological processing approaches attain measurably higher degrees of success. Using toy horns as therapy devices to achieve that goal is powerful and fun. In the last 15 years I have experimented with more than 80 horn-type devices to identify which ones work on targeted muscles and which ones can be used on an abdominal airflow hierarchy. That work has evolved into a program that includes 14 progressively complex horns. This hierarchy works on designated goals such as correcting an interdental lisp, improving lip rounding, and working on specific phonemes. It deals with the development of muscles in three areas in this order: phonation through the abdominal muscles, resonation through muscles of the velum, and articulation via the muscles in the jaw, lips and tongue. There are two broad patient categories. Some clients start at the first horn and work to complete the entire hierarchy, while others have specific needs that can be treated by the use of individual horns to address their personal speech deficits. Those clients who lack grading in only the jaw, tongue or lip are the least impaired. Those who have deficiencies in velopharyngeal closure must address those defects before the jaw, tongue or lip issues are addressed. Those with abdominal deficiencies are, for the purposes of this discussion, considered the most severely impaired. Clients with more severe problems start with the first horn and successively master each one until they reach the final horn. This approach would be suitable for clients with cerebral palsy or Down syndrome and could take as long as two years. Clients who are less severely impaired may start with a specific horn at a predetermined point within the hierarchy to address specific goals. This gives the clinician a methodic, scientific way to create an individualized program for each client that often is completed in four to five months. These exercises can be used by clients of all abilities and age groups. I have used them with clients as young as 12 months and as old as 104. The horns are organized by goals and the muscle movement required to produce phonemes. Each horn incrementally becomes a degree harder when working in the hierarchy, challenging the client’s achievements in a rewarding way. They are suitable for schools and other group therapy environments. Horns are also an important part of a drooling program because they address awareness of lips and maintenance of lip closure and teach retraction of saliva back over the tongue, much of which can be taught without cognitive cooperation. With horn therapy even our clients with major deficits make significant therapeutic progress. At the outset of the program, the therapist introduces a target horn and determines the highest number of repetitions that can be achieved in rapid succession at one time without a break. The goal with each horn is to achieve 25 successive repetitions, taking a small breath between each blow. If the maximum number of repetitions produced is less than the targeted goal, the therapist stops and assigns the attained number as homework. These exercises should be practiced at least twice a week with the therapist and at least once a day at home. As each horn is mastered, the therapist introduces either the next horn in the hierarchy or the next horn appropriate to the client’s goals. Parents and caregivers assist the client in practicing homework. It is vitally important that they be assigned a meaningful role in treatment. Many of our young patients who are cognitively impaired can barely interact with their parents. Involvement in this homework gives them an easily fulfilled assignment that provides immediate emotional and therapeutic feedback for the child and the parent/caregiver. A brief review of a few specific horns will help in understanding their interaction in the hierarchy and some of their unique attributes. The first horn is so easy that it requires almost no abdominal constriction and no constriction of the obicularis oris muscle. It produces sounds almost from the client’s vegetative breathing. This horn teaches jaw elevation with minimal lip closure as the client learns to volitionally control airflow. Outside of the hierarchy, it improves the production of the sounds /m/, /b/, and /p/. The second horn is a harmonica-like device that teaches further lip closure and the skill of projecting exhalation in a frontal manner. By gradually covering up the side holes until only the central holes remain exposed, clients can feel–and hear–the redirecting of airflow to the very front of the lips. Used alone, this instrument works on the standard production of /s/ by assisting in the correction of a lateral lisp. The third implement is similar to a slide whistle. It requires more than elementary lip closure and teaches first-level lip rounding for the production of /w/, /oo/, /sh/, /ch/, and /j/. The fourth horn has a flat mouthpiece and must be blown for a one- to two-second duration. These variations increase the abdominal and lip closure difficulty and further the work on production of /m/, /b/, and/p/ and the prolongation of oral language statements. The fifth, sixth and seventh horns address additional prolongation of sound, bilabial sounds, oral-tactile defensiveness, and low jaw sounds required for vowels and openmouth consonants. Horns eight and nine work on bilabial sounds and tongue retraction. The latter is also an important tool for clients working on oral-nasal contrasts, especially after cleft palate repair. Horns 10 through 14 work on intensifying the degree of duration of exhalation, lip rounding, lip protrusion, tongue retraction/release and abdominal constriction/tension. They specifically target the correction of the interdental lisp. Horns are fun, and fun is a motivator. Part of the success of this therapeutic approach is that this is work–difficult work for many clients. However, the work is disguised as a toy, and the fun clients have repetitively using the toy is exercise. The client’s feet must rest firmly on the floor or other stabilizing surface, and the body should ideally achieve 90-degree angles in the pelvis, knees and ankles. Hold the horn and make sure there is no biting. Remove the horn from the client’s mouth after each blow. The first rule does not vary, whether clients are in a chair, wheelchair or prone-stander or whether the therapist is working with them over therapy balls or bolsters. Stabilization in the body allows for mobility in the mouth. Consult with a physical or occupational therapist to achieve maximal positioning. This postural work has been traditionally in their realm. However, for the purposes of these exercises, it is now ours, too. During all therapy sessions and homework with a client, it is important to maintain this maximal posture. The second rule is needed because the horns will become toys and rendered ineffective for therapy if they are not used correctly. If a therapist simply hands a horn to a child, the client’s first reaction will be to put it in the mouth and bite on it. Biting eliminates the therapeutic jaw-lip-tongue dissociation component of horn therapy. Beginning with the ninth horn, clients who are cognitively involved with the therapy and show they are capable of following directions can hold the horns by themselves while the therapist continues to monitor posture and placement. For older children and adults, therapists should use their discretion based on diagnosis and cognitive ability. Finally, therapists must remove the horn from the client’s mouth after each blow. This therapy requires repetition. Muscle movement is recreated over and over again to develop strength/muscle memory. The goal with each horn is to be able to blow, with controlled exhalation, successive repetitions and for the jaw, lips and tongue to successfully reposition prior to each blow. The client populations that benefit from these techniques are diverse. Clients who have a diagnosis of apraxia/dyspraxia can use horn therapy to learn motor-planning movements for the eventual development of speech clarity. These methods sidestep their deficiencies. The stimulus-response technique of the horn creates the muscle action allowing the muscle to take that movement into memory. Clinicians can put their hand on a client’s stomach and push inward during an exhalation, getting the air to go through the horn and produce sound. This gives the client a new awareness that what happens in their abdomen creates sound from their mouth. Clients who are cognitively impaired gain this same awareness devoid of verbal instruction. abdominal muscles. They must learn to tighten them in order to control their exhalation. Low tone in their abdominal muscles produces insufficient amounts of air that only support single words or short phrases. Horn therapy assists to accomplish this without using compensatory skeletal movements such as shoulder elevation and/or whole body tightening. These are just two categories of clients whose problems have not been adequately addressed by traditional speech therapy. The result has been a significant inhibition of the clients’ ability to express themselves at their cognitive level. When the horn therapy program is completed, clients have the strength and mobility to start traditional articulation therapies. And they got to make a little music along the way.